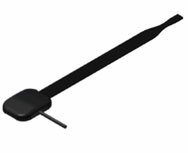 Nova media has released the Modem Mate external antenna, which offers up to 2 dBi of increased signal strength for 3G modems. The Modem Mate is designed to work with modems that lack external antenna connectors, and can boost the signal for for both HSPA/3G and EDGE/GPRS reception. Monkeybread Software released Combine PDFs 4.4 on Monday, adding a new preference window to the PDF-merge-and-split utility. With Combine PDF, users can merge PDF files and images into a single file; the utility also splits a PDF into new files. The preference window in version 4.4 lets users set whether PDF files should open with Acrobat Reader or Preview. In addition, Combine PDFs 4.4 contains several bug fixes and a new main window layout that Monkeybread says will fit better on smaller screens.